Francis Livingston and Navajo blankets weave an abstract exhibit. Patterns tighty woven and loosely painted make an inspired pairing in the exhibition Pattern and Abstraction at Mark Sublette Medicine Man Gallery in Santa Fe, New Mexico. "This unique show combines abstract paintings by Francis Livingston and antique Navajo textiles of the late 19th and early 20th centuries," the gallery explains. 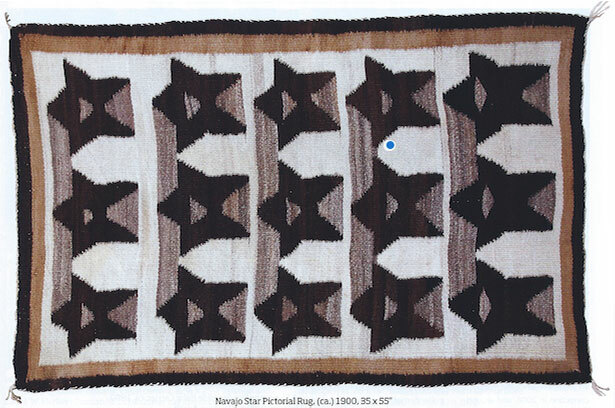 "The boldly patterned Navajo weavings were great abstract art made even before that term was widely used, and this show reveals their affinity with contemporary painting made more than a century later." Livingston may be better known for narrative paintings of amusement parks, movie theaters, and Native Americans on horseback, but abstraction has always been a part of how he sees and how he interprets the world in paint. The work of Richard Diebenkorn was a catalyst for seeing more abstractly or seeing shapes against shapes. 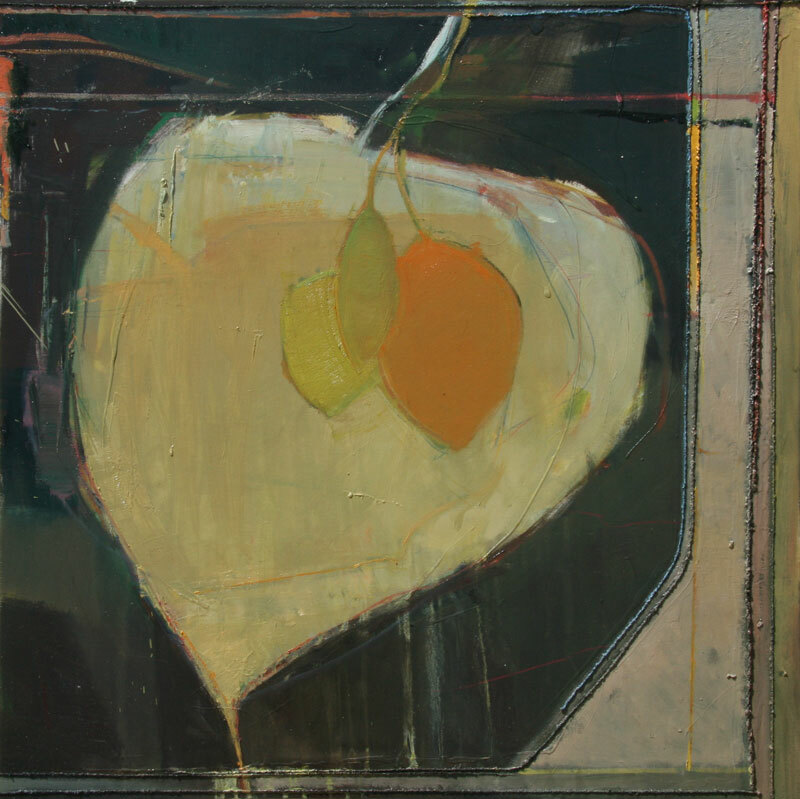 "Once I stgarted seeing in the way Diedbenkorn and others did I saw shape after shape, flat againt straight against curve against angle," Livingston says. Francis Livingston, Aspen on Aspen, oil and Navajo textile on panel, 36" x 36"
Of his painting Aspen on Aspen, he explains, "This is a leaf as much as as it is a shape against a shape." Its roots in Bay Area painting are evident but elements of collage take the painting in a surprising direction. 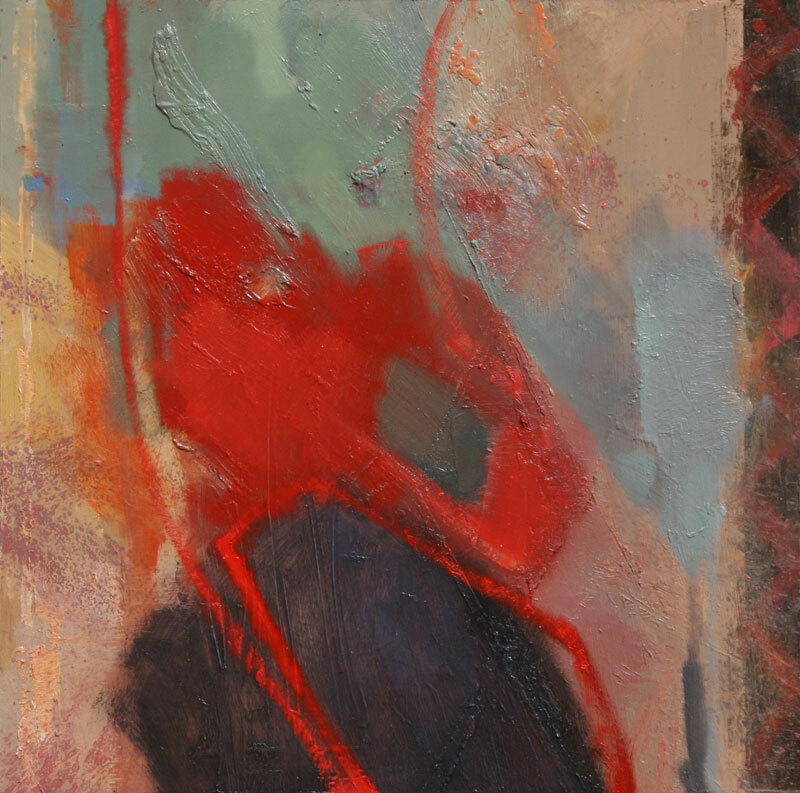 Francis Livingston, Suspension, oil and Navajo textile on panel, 17.25" x 17.25"
The “organic nature” of Navajo weavings and of Livingston’s abstract paintings combine in the exhibition for an instructive and satisfying experience. 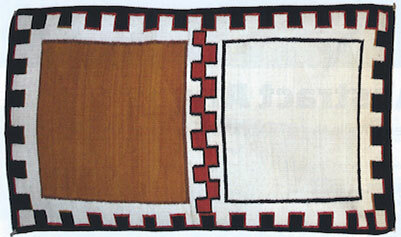 Navajo Double Saddle Blanket, c. 1900-1910, 35" x 55"